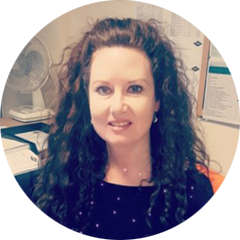 We are a fully accredited member of the Rail Plant Association and our specialist trainers offer RPA assessment to the rail industry. View our Courses page to find out more and book upcoming courses. A wide array of Health and Safety Training is also on offer at TRAC Training. This includes but is not limited to Small Plant & Tools, Abrasive Wheels, Manual Handling, Face Fit Testing and First Aid. Courses can be tailored to suit the bespoke needs of our clients. In addition to the suite of safety and railway related training on offer, TRAC Training is a fully accredited leading supplier of Industrial Rope Access Trade Association (IRATA) authorised Training, offering a range of Rope Access and height related safety training courses including Working at Height and Harness Awareness. At TRAC we pride ourselves on having the highest quality of training possible, that includes our trainers. We are fortunate enough to have four very experienced and knowledgeable trainers on our team. Team TRAC are UVDB qualified, in addition to the ISO and IRATA accreditations across the whole of TRAC Engineering. Please click on the qualification below to see the relevant certificate. 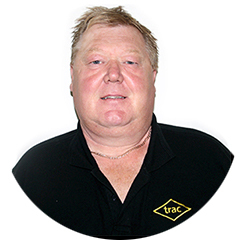 Paul brings an impressive 30 years of experience of Railway, Health, Safety and Quality Assurance training/assessing to TRAC Training, specialising mainly in On Track Plant. 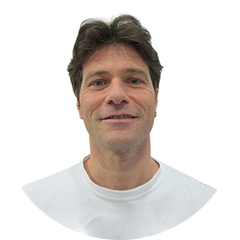 Paul is passionate about instilling his drive, vision and skill to others and many of the current training plans in use, Paul has assisted in the development and progression of. Paul has the quality of being a strategic thinker possessing strong business acumen and has a good grasp of how the training process directly affects the business. He is well versed in the design of training programmes and the delivery of comprehensive training sessions. Paul is always at the forefront of change actively contributing to the design of new material. 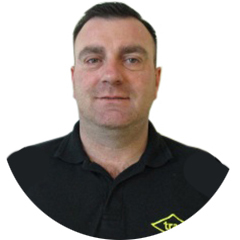 Jeremy is our dedicated Rope Access instructor, who specialises in IRATA and Working at Height training. He has a wealth of operational experience in a variety of industrial fields and has been delivering IRATA training since 2007. He also became an IRATA Assessor in 2013. Jeremy is passionate about his work, enhancing the training experience for all delegates and is highly respected across the industry. I’d recommend TRAC solely down to trainer Jeremy Love. First class! George brings 23 years of practical rail experience in various disciplines. George is enthusiastic about imparting his knowledge to all learners. 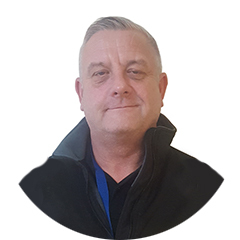 George’s current competencies/capabilities are numerous including Machine/Crane Controller, Machine/Crane Operator, Track Safety, Lift Planner and SSOW Planner amongst others. He is competent in the design of training programmes and the delivery of comprehensive training sessions and has a good grasp of how the training process directly affects the business. 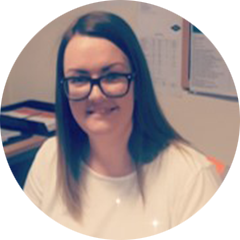 George is currently involved in Skills Group meetings furthering his networking contacts and ensuring new training programmes are disseminated throughout the industry. Steve brings 20 years of practical rail knowledge and 9 years of training and assessing experience. This is mainly pee-way although Steve has also worked on civil and OHLE projects. He delivers most of our Safety Critical courses and COSS Assessments. Steve also holds a First Aid Instructors Qualification that permits him to deliver the 1 day Emergency First Aid at Work or the 3 day First Aid at Work courses. Steve delivers his courses in a structured process that provides candidates with the knowledge and skills to perform job tasks and the desire to use them. Steve is a good role model who demonstrates maturity, confidence and enthusiasm. Steve has a good rapport with all the candidates and is friendly and congenial. Our skilled personnel have exceptional experience and knowledge of the industry and are committed to assisting you in finding the best solutions to your training needs.